FOX unveiled its schedule for the 2017/-18 season today, moving Brooklyn Nine-Nine to the later time of 9:30/8:30c. 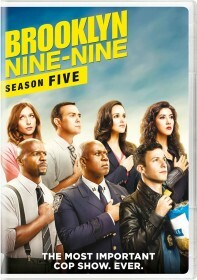 The network recently revealed it had renewed Brooklyn Nine-Nine for a fifth season which, as the network points out, means the show will hit the milestone of its 99th episode in the upcoming season. Brooklyn Nine-Nine is still policing Tuesdays but will move from 8/7c to 9:30/8:30c. The second season of drama series Lethal Weapon will air 8-9, while sophomore comedy The Mick will air at 9:00 directly before Brooklyn Nine-Nine.